With a bright circular screen, a strong battery, and genuinely useful voice controls, the G Watch R is the best Android Wear watch yet. Sadly, it’s probably too large and sporty for some. 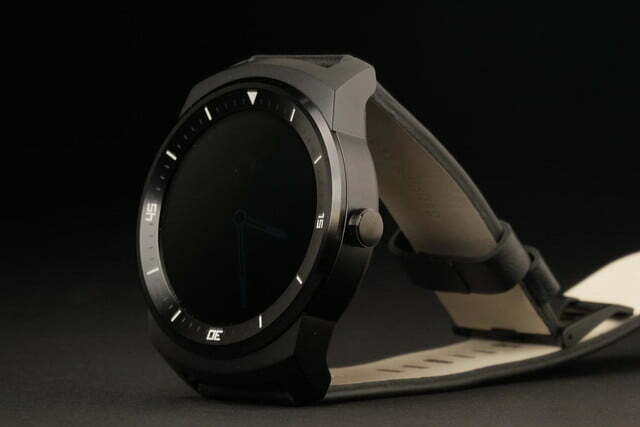 The G Watch R is LG’s second attempt at making an Android Wear smartwatch, and this time it has decided style should come first. 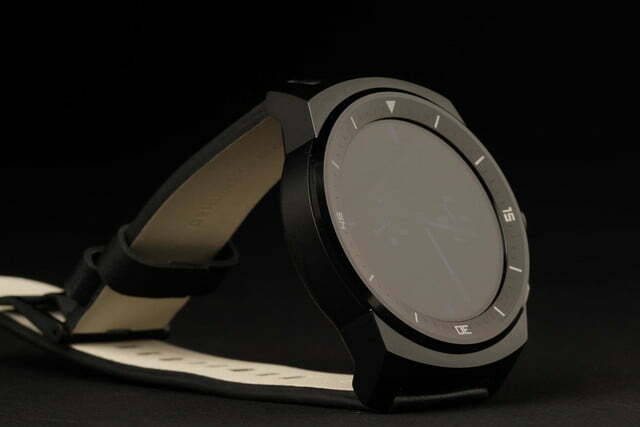 The circular screen separates it from the square competition; the case is metal; and the strap is made of leather. 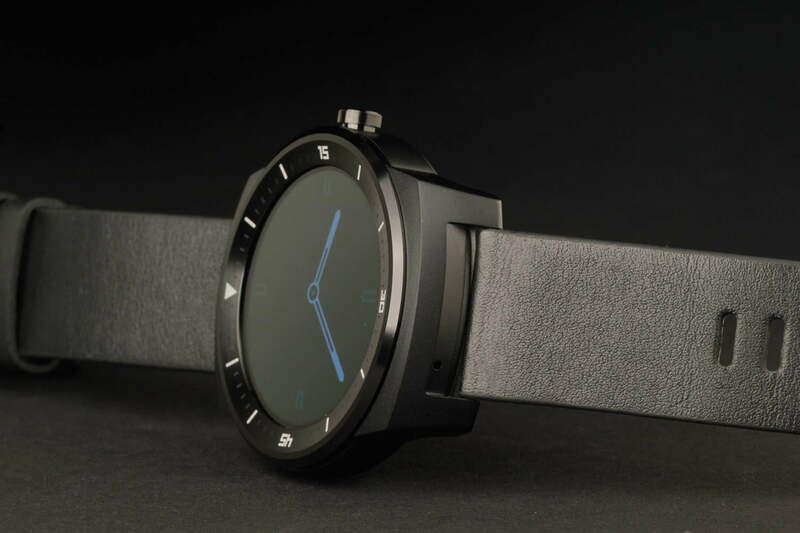 Modeled on traditional timepieces with a sporty edge, it’s more daring than the understated Moto 360, and a world apart from the geeky, rectangular devices that have so far defined the modern smartwatch revival. 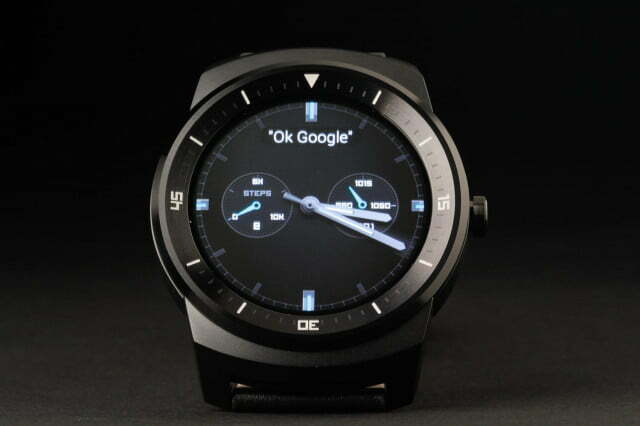 Several years in development, the G Watch R is LG’s shot at making smart watches mainstream. Without style, they don’t stand a chance. But a cool design is only half the battle. 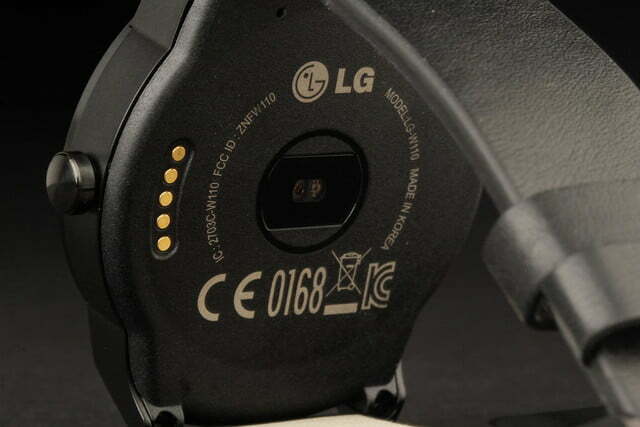 LG can’t compromise on the tech or the techies will ignore it. Combining cutting edge tech with universal visual appeal is a tough ask. 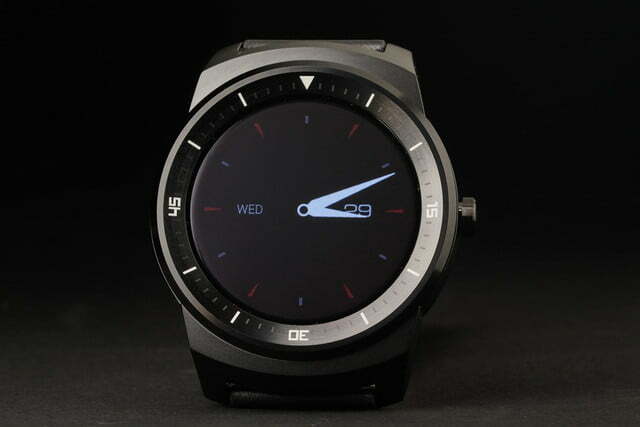 Can the LG G Watch R pull it off? 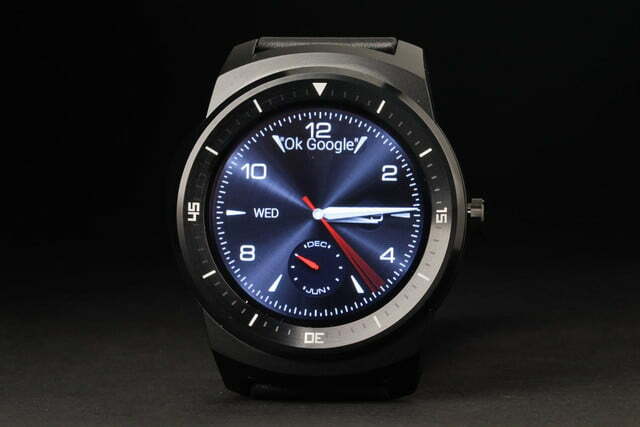 It’s so low key that it’s hard to tell the G Watch R is an LG device. The only branding is found underneath the case, and on the reverse of the strap. 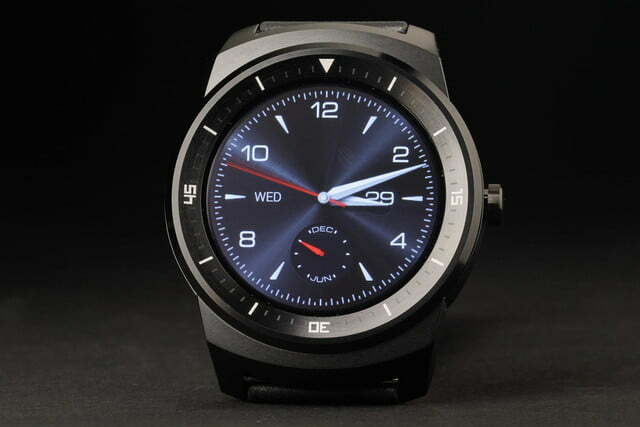 None of the many watch faces have the LG logo on it. It’s a mature, considered decision, and a very welcome one. It’s a world apart from the geeky, rectangular devices we’re used to using. Although I haven’t worn a traditional watch for sometime, I’m used to wearing smartwatches and fitness bands. 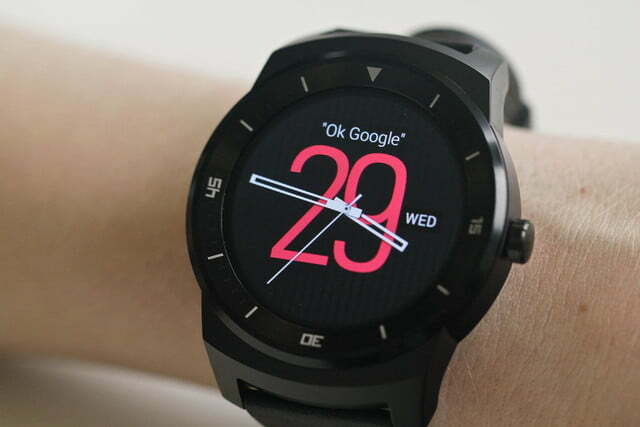 The G Watch R is one of the most comfortable connected devices I’ve had on my wrist. 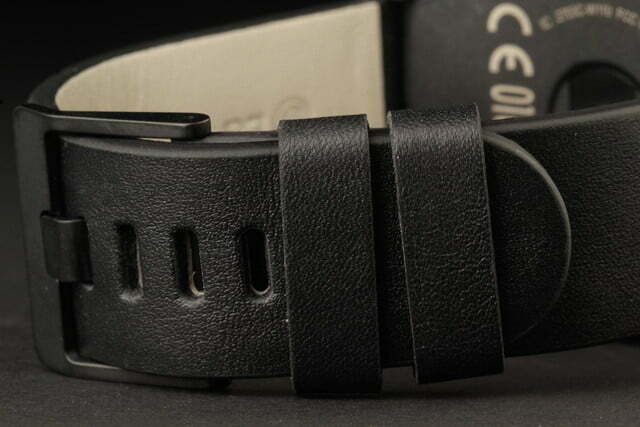 It’s light, the leather strap is breathable, and it never became irritating. Even after wearing it for 12 hours straight, I didn’t feel relieved when I took it off. The matte black, stainless steel construction, combined with the diamond cut bezel, gives the watch a slick, classy style. It is large, but it never looks out of place when worn by a man. 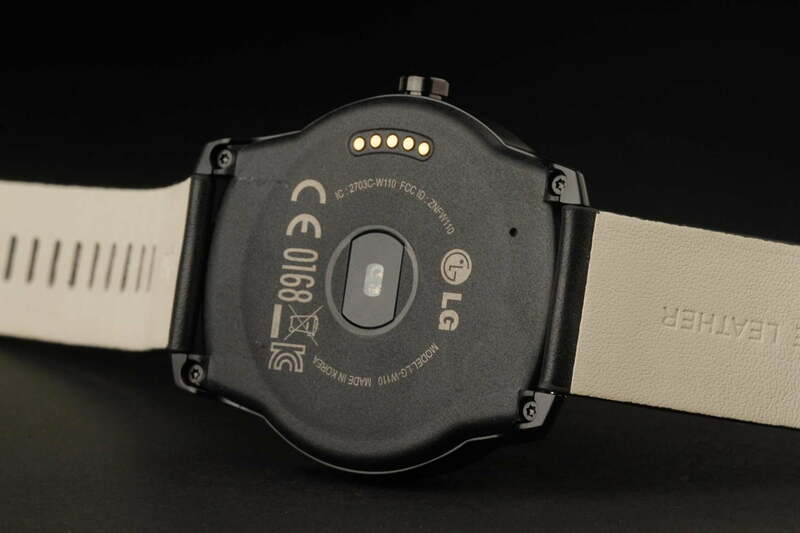 LG says it made the G Watch R to be a unisex device, but is it? The women I asked seemed to like the look, but considered it too large to wear, and after strapping the watch on, it was always larger than their wrist. 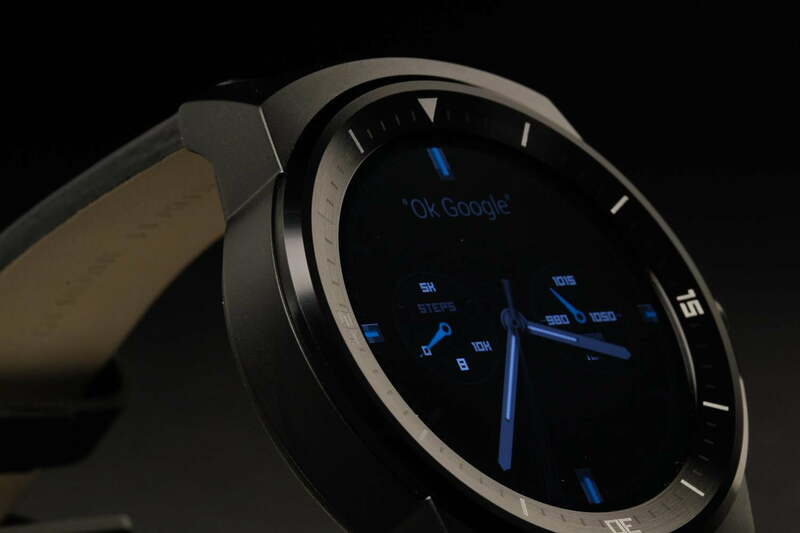 It won’t put everyone off, but the G Watch R is definitely going to find its way onto more male wrists than female. 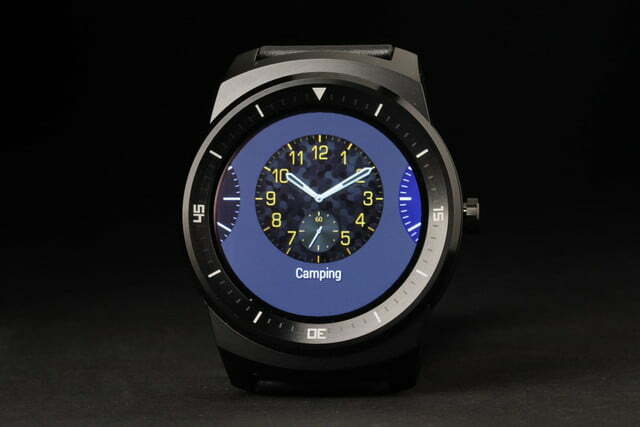 The G Watch R runs Android Wear, and the day after it arrived, it received the 4.4W.2 software update. Sadly, it doesn’t have its own GPS chip, so it can’t figure out where it is without your phone, but it does have 4GB of internal storage memory, and now connects with Bluetooth headphones. Music stored locally inside Google Play Music can be synced across to the G Watch R, and played while the watch is offline. It worked well, and paired easily with our LG Gruve ‘phones, but there’s no way to fill the watch’s memory outside of using Play Music. 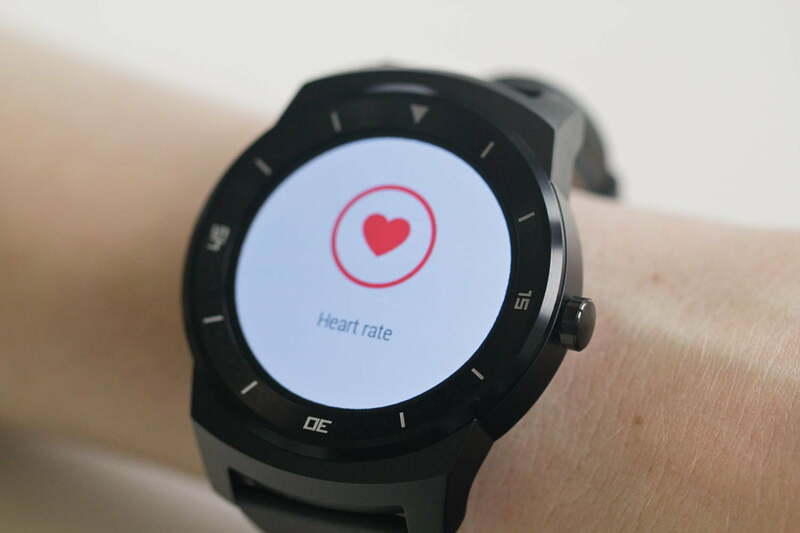 The G Watch R will track your steps and measure your heart rate. Used alongside the LG G3, neither agreed on the amount of steps I took, but remained within about 500 steps of each other. After a period of adjustment, the heart-rate monitor settled down, and presumably provided accurate results. On some occasions, it did say my heart was pumping at 107bpm, a highly unlikely figure given I’d been at my desk all morning. It interacted well with RunKeeper, and the accompanying app showed progress, time, and distance on the display. 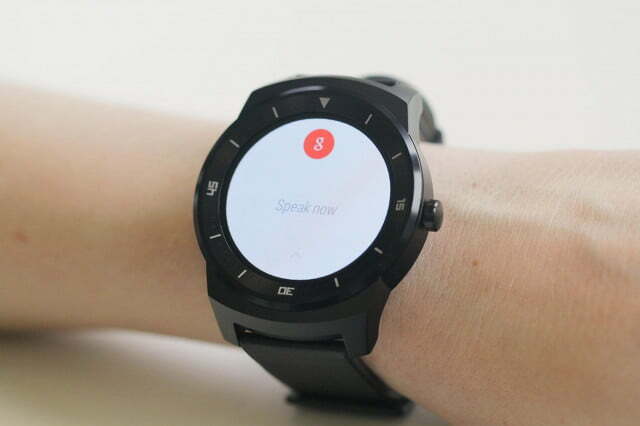 What surprised me was Android Wear’s voice control system. Voice control has never been a feature I’ve felt inclined to use on phones very often, but it makes perfect sense for a wrist worn device. I found myself using it to set timers, check my steps, reply to messages, and activate Google Maps. The G Watch R’s microphone is sensibly mounted closest to your face, and it did a great job of picking up my voice, even in environments filled with ambient noise like the car, or Starbucks. 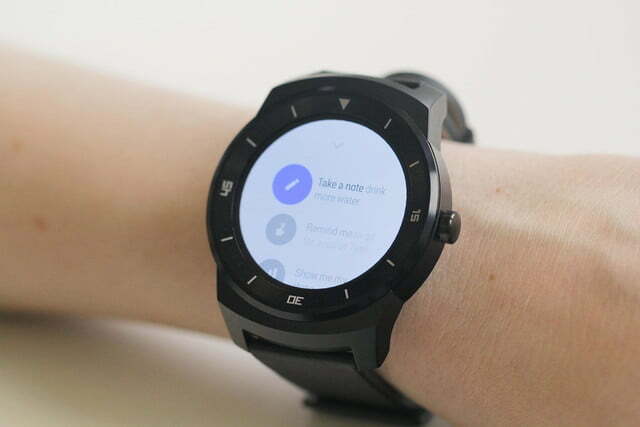 Android Wear is still a new operating system, and it’s a little feature light. It’s annoying not being able to reply to messages using Hangouts (it only recognizes SMS), and while it displays GPS navigation directions, it’s easy to misread them, and end up using your phone instead. On a more positive note, if you use Google Now’s contextual cards a lot, then you’ll find Android Wear fits very easily into your life. 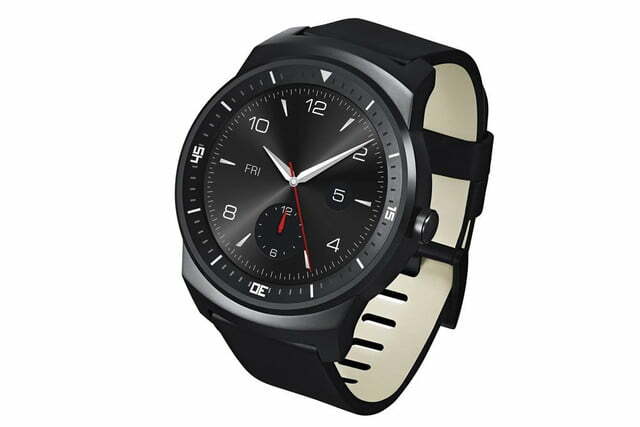 Following the update to 4.4W2, the G Watch R did suffer from random disconnections with the LG G3, despite the Android Wear app insisting it was still linked up. Disconnecting, then reconnecting from inside the app solved the problem, but it did reappear. 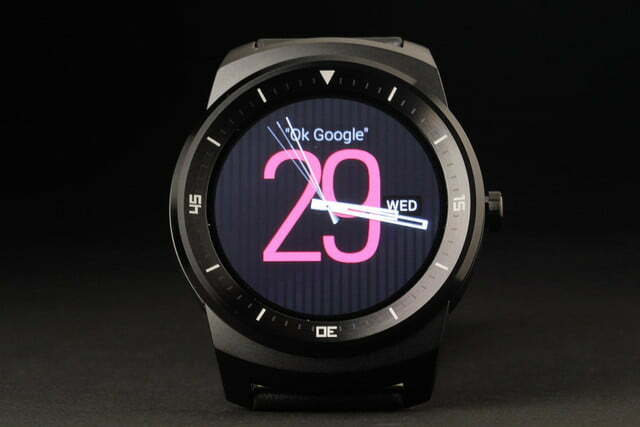 We’d expect this to be fixed in the future, and will be checking to see if the problem exists when the G Watch R is linked to a different Android phone. 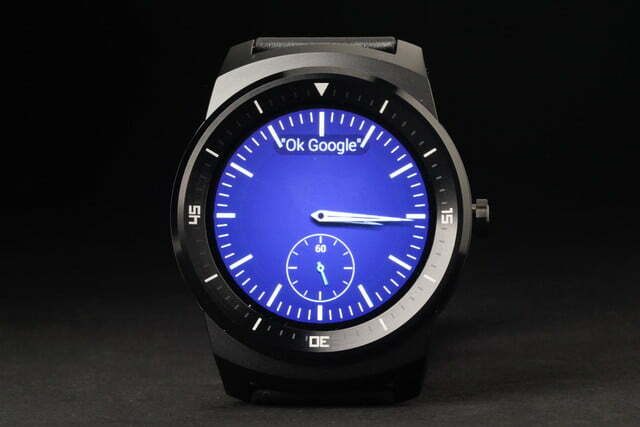 The G Watch R is powered by a 1.2GHz Snapdragon 400 processor with 512MB of RAM, and it never suffered from any performance issues. Given it won’t be used for playing many games, or editing video, this amount of power should be more than adequate. 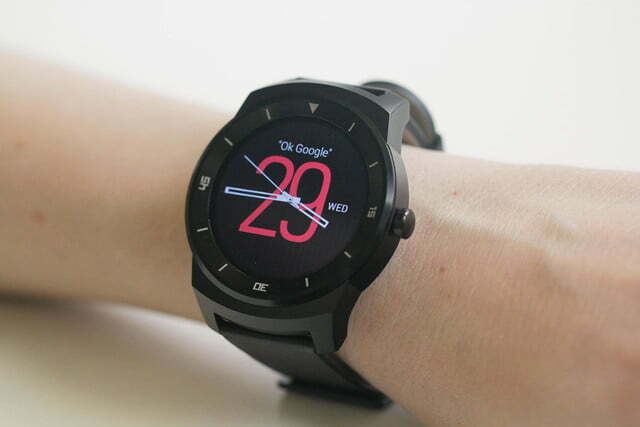 The G Watch R is one of the most comfortable connected devices I’ve had on my wrist. LG’s world-first P-OLED circular screen fitted to the front of the G Watch R is beautiful. The display is completely round, and there are six levels of brightness, ranging from dim, to retina-searingly dazzling. Sunny days weren’t on the agenda during the first few days of testing the G Watch R, but once one did arrive, the screen performed well. Reflections were a slight issue when the watch is in ambient mode, but once it’s fully activated visibility was excellent. I rarely needed to turn it up beyond level three to see it perfectly outside on gloomy days, and level six was overkill even for the annoyingly low, fall sun. 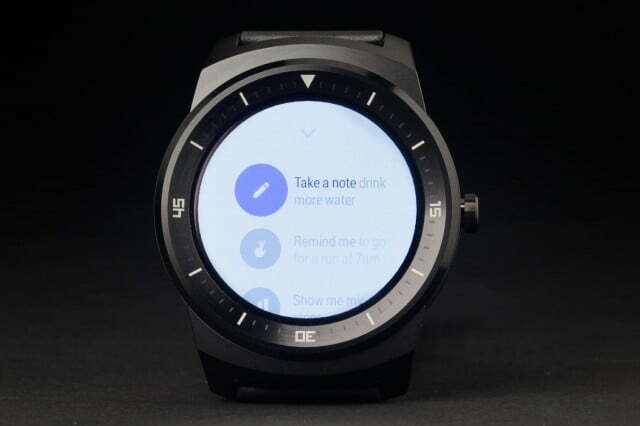 Touch sensitivity is excellent, and Android Wear’s innovative controls, which are standard across the platform, are quick to learn, and simple to use. Everything looks very sharp, thanks to the 320 x 320 pixel resolution, and the OLED screen displays realistic colors. However, it’s the deep blacks that really impress. Android Wear’s ambient mode, where the screen is mostly dark, looks stunning on the G Watch R, and it’s almost impossible to tell the screen apart from the physical, and equally black, bezel. LG has water and dust proofed the G Watch R to IP67 standards, so it’ll survive a 30 minute dip in about a meter of water. 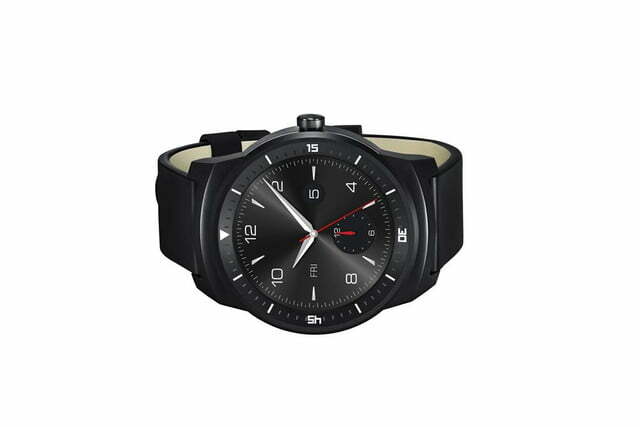 A 410mAh battery has been crammed into the G Watch R, which is larger than both the Moto 360 and the Samsung Gear S. Standby time can make or break a smartwatch. 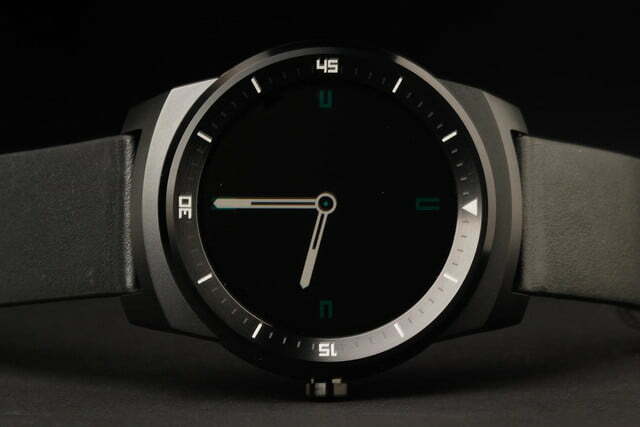 How much can you expect out of LG’s watch? Using it normally and turning it off while sleeping at night, it managed between two-and-a-half to three days out of a single charge. Hard use, including navigation and repeated voice commands, plus a little music playback saw this drop down to two days. 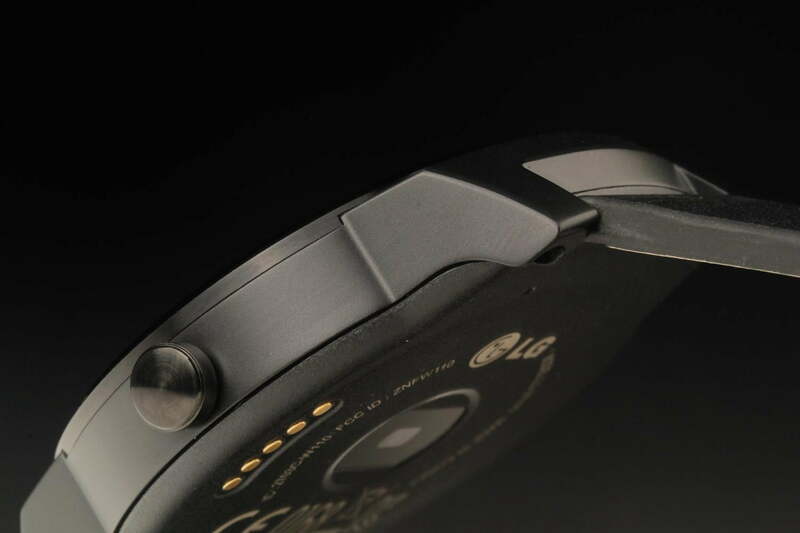 The G Watch R doesn’t use wireless charging, but comes with a small plinth on which the watch sits, automatically lining up the charger contacts on the rear. 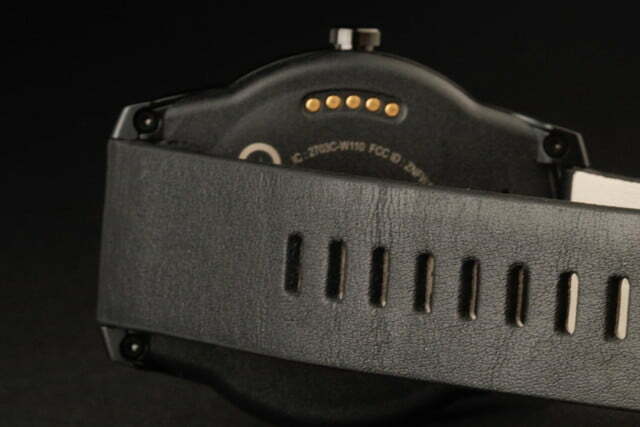 It’s magnetic, so the watch is held in place, and grippy pads underneath ensure it stays on your desk. 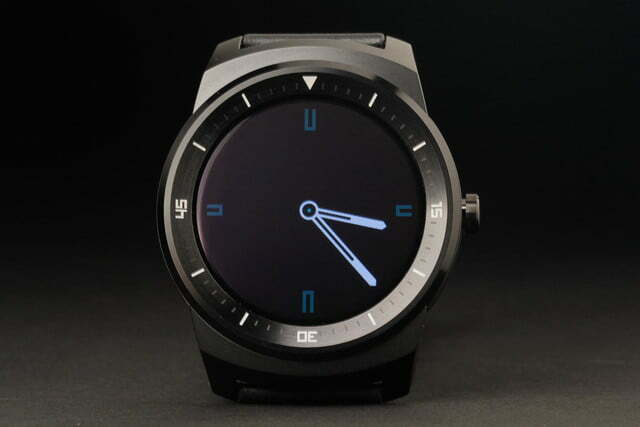 Considering the high-res, color touchscreen, sizable processor, and relative small size of its battery; we were pleased with the G Watch R’s performance. 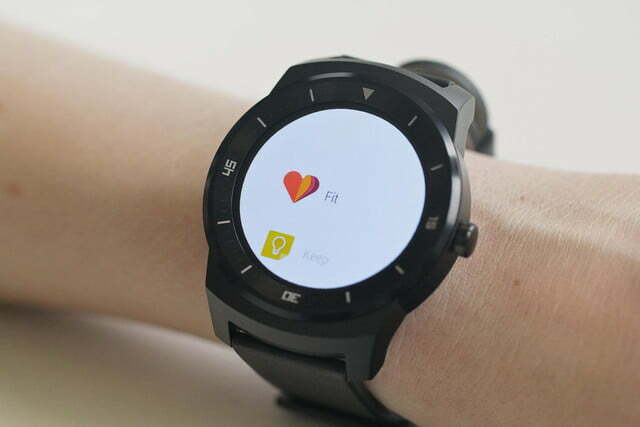 At the start of 2014, a technically capable smartwatch that looked like a real watch, that was powered by a strong battery and an easy to use, yet powerful operating system, seemed like a far off dream. 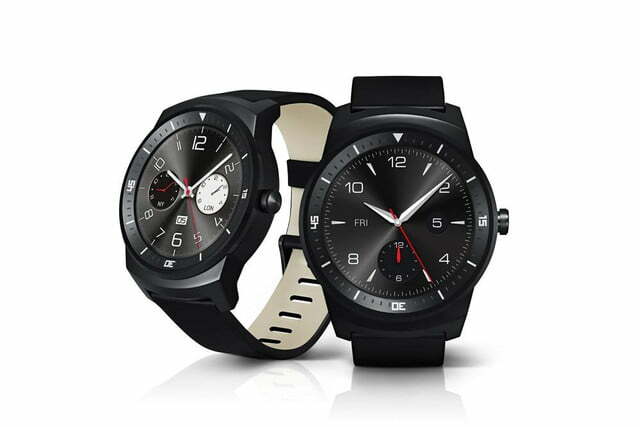 The G Watch R is the first to truly tick all these boxes, while avoiding the software glitches and limited availability of the similar Moto 360. It’s not perfect. 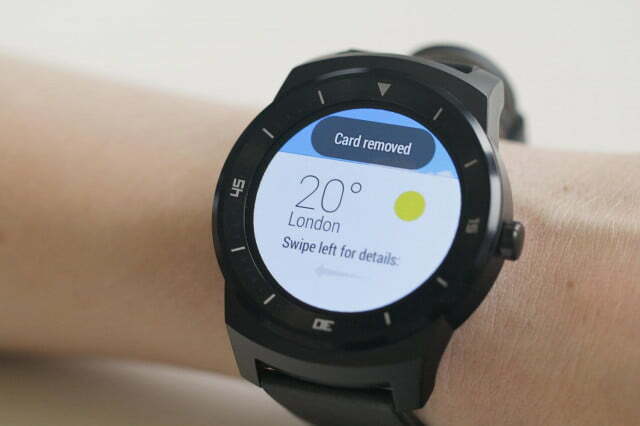 Android Wear is still a work in progress, and its feature set is limited. 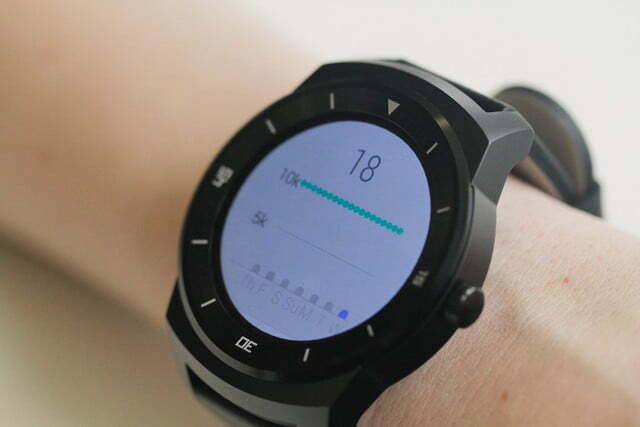 The G Watch R needs to be connected to your phone if it’s to have any meaningful use – you can only see the time, set timers and alarms, plus track your steps when it’s offline – but the biggest issue is with the design. 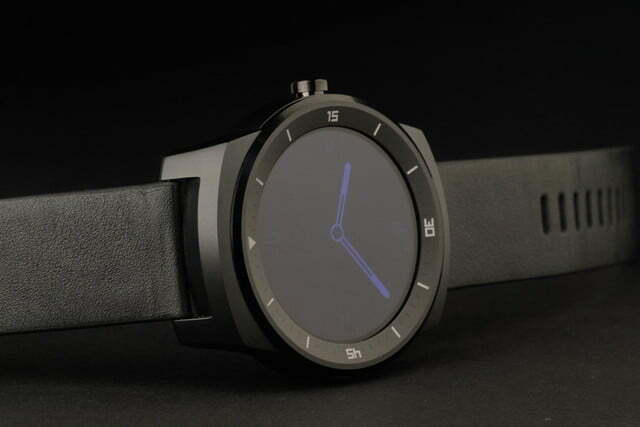 The G Watch R looks brilliant, and if you’re male, it’ll look perfectly at home on your wrist. If you’re female, then it’s not so clear cut. Personal preference will play much more of a factor, and the choice of strap will be far more important. We know there are plenty of ladies out there who like large watches, but an out-of-the-box G Watch R may still be too masculine even for them. If the styling doesn’t bother you, the G Watch R should be at the top of your list when out shopping for an Android Wear smartwatch.